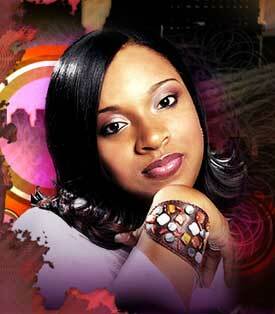 Kierra Sheard was born with music in her heart and a song on her lips. While most people have to study and learn a skill, for Kierra, as the youngest standard-bearer of one of Gospel music's greatest family dynasties, it just runs in the blood. Kierra, 17, is the daughter of Karen Clark-Sheard, a founding member of Gospel legends, the Clark Sisters, and who, since 1997, has been a celebrated solo artist in her own right. She's also the granddaughter of the late Dr. Mattie Moss Clark, the prodigious conductor, arranger, songwriter, singer, instrumentalist and teacher who is roundly credited as one the defining influences in all of Gospel music. With Kierra's solo debut album, I Owe You, that incomparable family tradition is carried on in a voice and a sound that respects its roots, while taking the Gospel message to the masses in the cutting-edge urban, R&B and pop music of today. "You Don't Know," co-written and produced by Grammy winning, superstar producer, Rodney Jerkins (Destiny's Child, Mary J. Blige, Jennifer Lopez, Will Smith, Joe, Kirk Franklin), is a driving, commanding hip-hop statement of God's power and faithfulness in the lives of His children. "This is really my testimony of all that God has done for me in my life," says Kierra. "It's important to me to share that with everyone, because it really let's them know where I'm coming from. There was an old traditional song of the church with the same title and idea of sharing our testimonies, and Rodney wrote a completely new song with that as the inspiration, and with a totally modern sound that young people today can latch onto." "Praise Offering," a soaring, pop-flavored ballad of worship on which Kierra's amazing prowess is dazzlingly displayed, was written and produced by acclaimed producer/artist JMoss ('N Sync, Hezekiah Walker, Patti LaBelle, Ramiyah). The writer or co-writer, and producer of many of the songs on I Owe You, J. himself is part of the Moss/Clark family tree, and long ago enthusiastically committed himself to be an integral of Kierra's career. J. also contributed the easy, infectiously funky "Church Nite," reflecting the importance of church in the life of Kiki and her teenaged peers. "Sweetest Thing" is a tender, gently grooving statement of love for the Lord. "War," written by Kierra and produced by her 14-year-old brother, J. Drew Sheard II, for his LT Productions, is an aggressive declaration of spiritual warfare, while "Done Did It," produced by Warren Campbell, is a joyous return to the traditional Gospel roots on which Kiki was raised. Kierra, or "Kiki," as she is affectionately known, was born and raised in Detroit, where she and her family still reside, and grew up with a strong church foundation, surrounded by great music, teaching and preaching. When she began singing at the age of six in the children's choir of Detroit's Greater Emmanuel Institutional Church of God in Christ, pastored by her father, Rev. J. Drew Sheard, the full and extraordinary extent of her talents became immediately apparent. "My mother passed away when Kierra was only seven," Karen recalls, "but before she died she told me that this baby was going to sing, and that I was to raise her in my shoes, and bring her up the way my mother had raised me." Realizing the responsibility that both God and her mother had given her for Kierra's musical and spiritual development, Karen-herself a world-renowned vocalist-began to coach and nurture her daughter in singing, as well as in the lessons deeply engrained by her own mother of the responsibilities of representing Christ through Gospel music. With both technique and a presence that far surpassed her years, Kierra made her recording debut when she was nine, singing a duet with her mother on "The Safest Place," from Karen's chart-topping album, Finally Karen. The popularity of "The Safest Place", and the warmth of the mother/daughter interaction conveyed in the accompanying music video, led to Kierra's stage debut when she was only 10, as she would often travel with her mother on tour to join her for the song before audiences that numbered in the thousands. Though she can see those experiences as a blessing, and important part of the development of her talent at such a young age, "Kiki" also recalls them with a combination of wonderment and a child's natural nonchalance. "It was exciting, and scary," she says, "and I guess I should have been nervous to be onstage with 'Karen Clark-Sheard,' but to me it was just my mother, and I was just singing along with Mommy, like I did at home, or anywhere." It's hardly surprising that by that time Kierra had firmly decided upon a career in music. "I would watch the Clark Sisters and see how they touched and moved people," she remembers, "and they always looked like they were having such a good time just singing and praising God. They were always so positive, and happy, and I really paid attention and learned from hearing them and being around them. I saw that and it made me want to sing and minister to people my own age. When I got the chance to sing onstage myself, it just felt natural, like God was telling me that was what that was what He wanted me to do." While the venerable Dr. Mattie Moss Clark would never have stood for her daughters listening to any "secular" music, Kierra says that she's been given the freedom listen to and develop broad and contemporary musical tastes from a wide range of both mainstream and Gospel music, though always with the caution to never let the content of "worldly" music interfere with her anointing to sing and present the pure Gospel message. With diverse musical influences that run from urban superstar Mary J. Blige, and modern rockers Linkin Park, to Kirk Franklin and a whole host of contemporary Gospel artists, as well as her famous mother and aunts and the pantheon of traditional Gospel artists who preceded them, Kierra's own style creates a fresh mix that puts her in a place all her own. "I grew up on traditional Gospel, and I always want part of what I do to be songs that my elders, as well as kids my age, can enjoy," she says. "But I really feel a calling to reach kids my own age with the message of Christ with a contemporary sound that they can relate to and get into." "Kiki" has continued to perform, when her schooling allows, with both her mother as well as on occasional Clark Sisters "reunion" dates. She's also shared the stage with a gamut of musical luminaries that runs from Mary, Mary, and Donnie McClurkin to Mary J. Blige, one of a large and formidable number of secular artists who profess a huge creative debt to the Clark Sisters, and who, herself, finds particular inspiration in Kierra's music as well. "The night of the Mary J. Blige concert, she asked Mom to join her onstage during her set," Kierra recalls, "and she asked her if I was there, too. When Mom told her that I was, she asked me to join them, and of course I did. It was a powerful moment, and an opportunity to minister to a lot of people who might never come to a 'Gospel' concert." "And Kierra blew them away," Karen adds, with a mother's unrestrained pride. "Afterwards, Mary couldn't stop talking about how much 'Kiki' had ministered to her. And with I Owe You I think she's going to impact her entire generation that very same way." "I want to demonstrate to young people that you don't have to live in sin to have fun and enjoy yourself," Kierra concludes. "I think I Owe You will show that there's even greater joy, and lasting joy, in singing and praising God, and in our own voice and our own style of music."